We recently spoke to a State School who spend close to £40k per year on teacher recruitment costs. That’s a LOT of money. But, understandable when one considers how critical it is to attract not just any teachers, but the right ones for your school. Finding teachers who embody the values and ethos of your school’s culture, who genuinely care about the well-being of your pupils and fellow staff members, and who have sterling credentials, is a tough task. We agree that recruitment sites can be extremely effective in generating interest in any vacancies you’re currently trying to fill. But, we also believe that a few online marketing channels, used in conjunction with recruitment sites and your existing school website, can act as powerful and affordable teacher recruitment tools if you know how to use them properly. Little known fact; your school website can help with teacher recruitment costs in a very big way, but won’t cost nearly as much as advertising on external recruitment sites. Few things are more frustrating than attempting to complete a form on your mobile phone when that form sits on a website that isn’t responsive to the device. Teachers are looking for their next teaching role between a myriad of other tasks, and usually whilst on the go. So, we should assume that many of them will be using their mobile phones to perform their searches, shortlist roles and complete application forms. 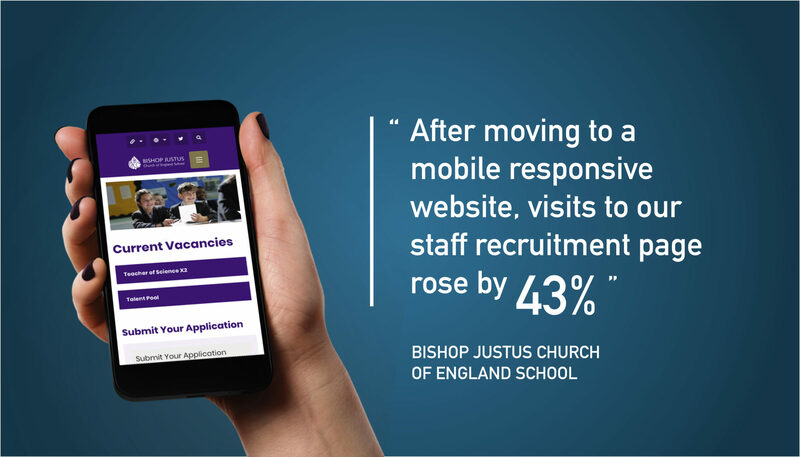 The simplest way to guarantee they find out about any roles you’re advertising is to make sure your school website is responsive and works brilliantly when QTs search for vacancies on their mobile phone. 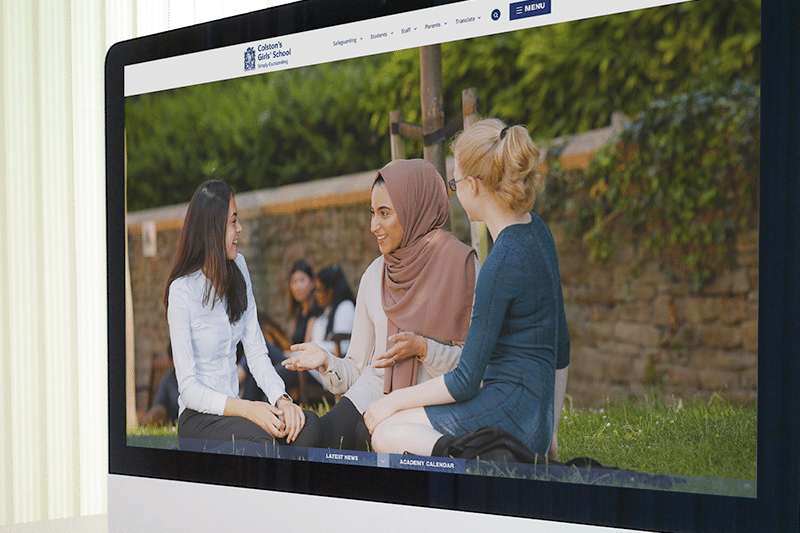 At Cleverbox, we believe every single school website should be responsive because parents, pupils and prospective teachers expect and deserve a consistent and easy experience on any device. By making sure your job application process works on all devices, you’ll improve your chances of attracting the right teaching talent for your school. With pay per click advertising, as the name suggests, you only pay when someone clicks on your advert. You can target your campaign to appeal to the teacher demographic that best reflects the role you’re advertising. Best of all, you can actually tweak the copy on your advert while it’s running, to try and increase the amount of interest your ad is generating. Cleverbox are able to set up, manage and report on your PPC recruitment campaign for you. This is a highly measurable advertising channel and you’re able to see, in real-time, how your investment is working for you. Long gone are the days of needing to spend huge amount of money on external advertising that gives you no insight into its efficacy. With budget tracking and a cap applied to make sure you never spend more than you’d like to, you’ll be able to advertise to a wider audience without breaking the bank. When budget planning for teacher recruitment costs, PPC can we a valuable tool. We’ve said it three times because it’s SO important. The best way to spread the word about any teacher vacancies you’re recruiting for is to make sure that Google knows about them. It’s actually very simple to implement SEO on the Current Vacancies page of your school website. Think about ‘Titles’, ‘Tags’ and ‘Total’. ‘Titles’ – Google loves images, but only when they have user friendly titles. 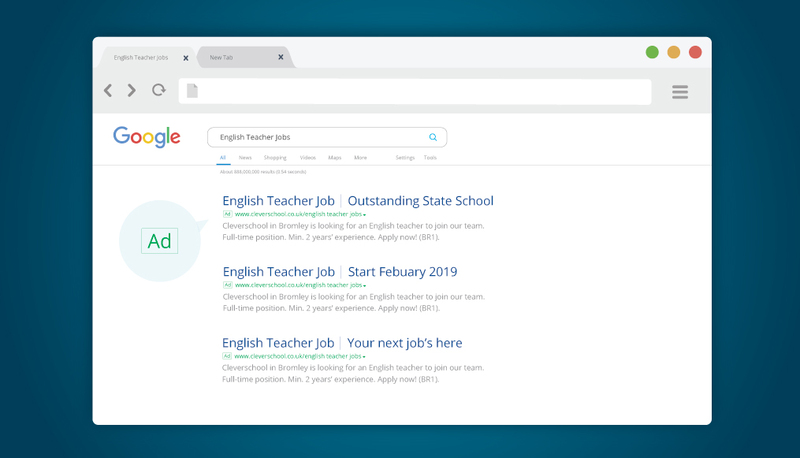 If you add an image to a role on your Vacancies page, make sure you log in to your Content Management System and change the Title from the original file name (usually jpeg or png) to something more descriptive, for example ‘English teacher vacancy – outstanding school’. ‘Tags’ – Every page on your website should include tags and descriptions to help Google find and index the content on those pages. Your Content Management System should include search engine fields that allow you to add in these tags and meta descriptions. ‘Total’ – word count that is. Google will only index your recruitment page and any roles if they include a minimum of 300 words. This applies to all pages on your website but is especially important if you’re currently advertising for a teaching position. It’s a sure fire way to improve your chances of people finding out about the role and visiting your website to learn more about it. If you need some help, Cleverbox can set up the Titles, SEO tags and descriptions throughout your Staff Recruitment section for an affordable one-off fee. Or, we can manage your SEO strategy on an ongoing basis across your wider school website. The beauty of advertising your teaching role on social media is that you can make your advert super targeted to your audience. No other channel offers the level of targeting options that Facebook can give you, at as little as £5 per day. Twitter provides you with an immediate and interactive way to engage with prospective staff members. While Instagram offers you an image rich platform to show off why your school is such a great place to teach at. Advertising on social media channels is very affordable and you can switch on and off your ads whenever you like, so you won’t be tied into lengthy contracts or commitments. Cleverbox have loads of experience in managing social media for schools which can be vital in saving on teacher recruitment costs. 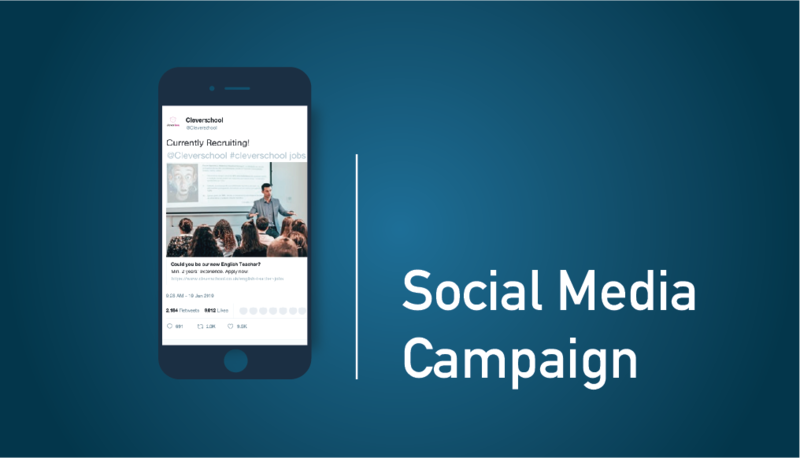 We can set up paid ads across the main social media channels; Facebook, Twitter and Instagram. We’ll write the copy for your ads, set up the targeting once agreed with you, and monitor your campaign to let you know how it’s performing. And there you have it – 4 ways to keep costs down on your teacher recruitment cost plan. If you’re currently recruiting for new teaching staff and would like to find out more about how we can help you manage your SEO or set up a paid advertising campaign on PPC or social media, please get in touch! You can call us on 0208 466 7222 or email the team at [email protected]. Otherwise, if you’re keen to talk but don’t have time right now, choose a date and time that suit you and we’ll call you back.